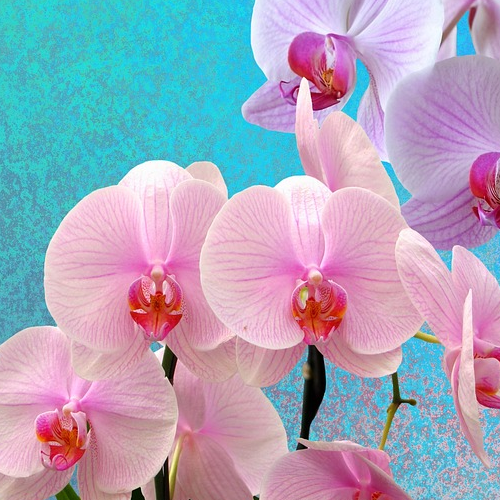 Northeastern New York Orchid Society: Growing Orchids Right Here! The north east has the worst of both worlds.... too hot in summer and too cold in winter. Four of our long time growers will give us their ideas on how they deal with these conditions in 15 min segments followed by Q&A. Mark Conley, Granville NY, grows cattleyas in a bright but cool greenhouse. He has grown some from seed and flask, having the patience to wait the 7-8 years to see the hybrid results of his cross. Elaine Grega, Woodstock, NY, has experience with growing smaller orchids on slabs of bark, sticks, grapevines and cork to name a few. Humidity is a factor as might be daily misting. Wake Gardner, of Voorheesville, NY, is one of the members who has been growing the longest. He empties the small attached greenhouse of orchids and spreads them around outside under a huge arching, branching tree. Tom Hoodack, Valley Falls, NY, grows extremely well in an aquarium that no longer holds fish. He'll address issues of humidity vs good air circulation, light and temperature.